Homeopathy for horses is a holistic system of healing horsesbased on the use of highly diluted natural substances to trigger a healing response in the horse's body. The basic principal of equine homeopathy is that any substance that can cause a disease, can also be the principle cure - "like cures like". If given in stronger doses to a healthy horse the chosen medication would produce the symptoms the medicine is prescribed for. This applies to horses and ponies as well as to human patients. The more dilute a remedy, the more potent and effective it is. The difference between using conventional drugs on your horse or pony and homeopathic remediesis that the drugs treat the symptoms and homeopathy is designed to treat the cause of the horse's symptoms. After herbal medicine, homeopathy is the second most widely used alternative health care system in the world. Homeopathy has benefits for many different types of illnesses and injuries including equine colic , rain scald and rain rot, ringbone, ringworm, sweat bumps and bruised soles. Arnica is the the most popular homeopathic remedy to turn to after an injury. useful for all forms of bruising and soft tissue damage and trauma. Arnica can be used to treat muscular strains and sprains caused by over exertion, as well as trauma caused by a fall, kick or blow. 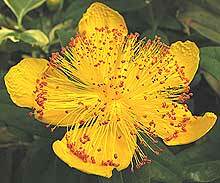 Hypericum and Calendula may be used for injuries, minor wounds, cuts and abrasions, bites and stings. Aconite can help with colic, laminitis and gastric ulcers. Arsenicum can help with colic and indigestion. Thuja can help with skin conditions such as warts, sarcoids, rain scald, and swelling from vaccinations. In the uk it is illegal anyone other than a veterinary surgeon to prescribe a homeopathic treatment for a horse. You can treat your own horse but it is advisable get a proper veterinary diagnosis and advice first. More about complementary therapies and the law at Horse and Hound. The most important thing to remember when giving a horse a homeopathic remedy is that you must never touch the pellets/tablets or drops with your hands as this may neutralise them and make them ineffective. You can place the pellets or drops into a syringe or other container. If that is too difficult, you can let your horse lick the pellets out of a dish or dissolve the pellets in a small amount of water and pour it (or the drops) on a small food item that will absorb it, like a small piece of bread or a sugar cube. You must not feed anything else for at least 30 minutes after giving your horse his homeopathic remedy and not offer water for at least 15 minutes. It is best if you only use one remedy at a time so that you can tell if that remedy is working. the raw extracts of the substances are made into a tincture with alcohol which forms the basis of the dilution procedure. Dilutions are made up to either 1 part tincture to 10 parts water (1x) or 1 part tincture to 100 parts water (1c). repeated dilution results in the familiar 6x, 6c or 30c potencies that can be bought over the counter: the 30c contains less than 1 part per million of the original substance.